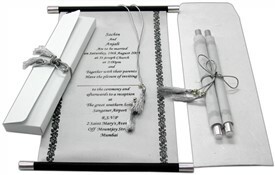 Description: Celebrate with some grace! 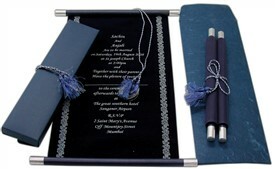 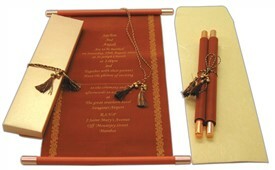 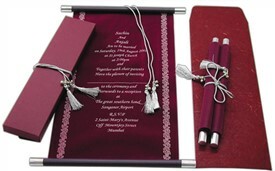 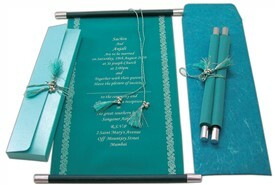 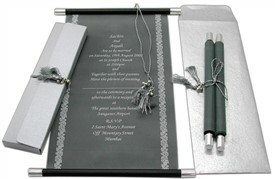 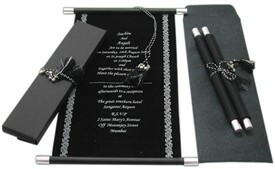 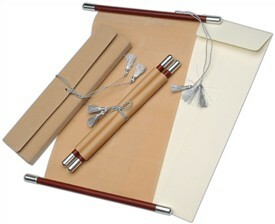 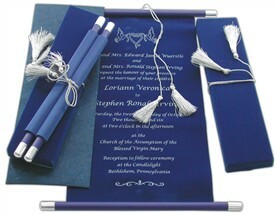 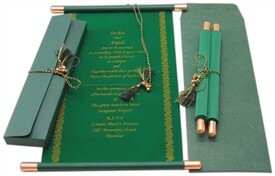 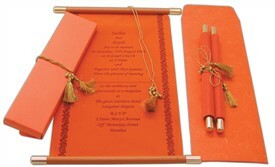 This scroll card has the attraction that makes your wedding fiesta seem complete. 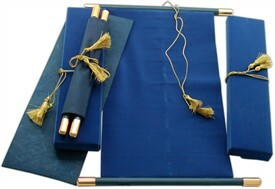 The plain scroll is with golden bars, a beautiful golden zari border stitched at the bottom. 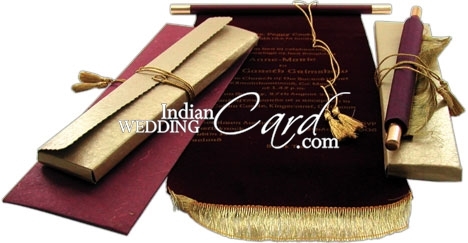 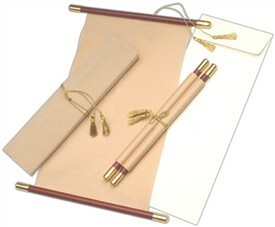 The golden colored box envelope has a golden tassel and provides a very striking face to the design. 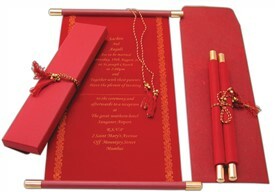 Printing Color: Silk Screen Printing in Gold.